Please click on the thumbnail to open a large version in a new window. 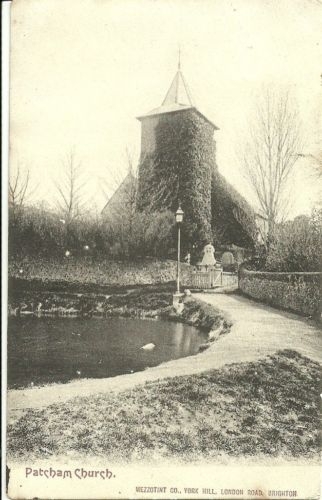 The first of these images is a rare postcard image of All Saints Church, Patcham when the dew pond at the top of Church Hill was still present – early 1900’s. 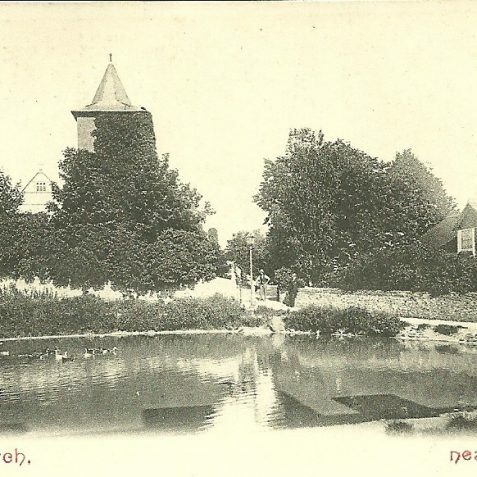 To be really pedantic (as this site is renowned for its accuracy), Patcham pond was not a dewpond, which is a man-made landscape feature. It was spring fed; the street Church Hill was originally known as Spring Street. It is difficult to picture the scene with the tarmac surface of Church Hill, but the pond was one side of the farmyard that comprised the large barn (note this is NOT a tithe barn in spite of it always being referred as one! 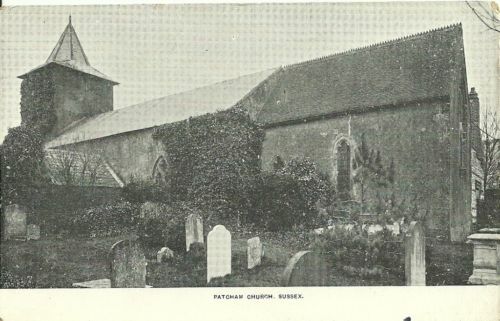 ), the dovecote and Patcham Court Farm buildings. 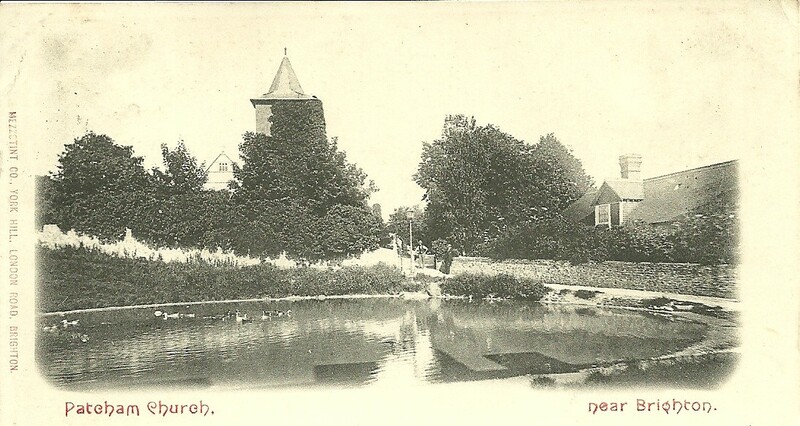 The pond was filled in sometime post-WWII as it was considered a health hazard and the sarsen stones which had been around the edge were transferred to Horsdean Recreation ground nearby. The flat area, post-pond, makes a first rate wedding photo location! And is perfect for the annual Patcham Summer Fete although I would rather see the pond back there. The Dew Pond was used during WWll as source of water by the Fire Service in case of local fires which, thankfully, never occurred. It was also the source of the small stream which flowed down Church Hill and actually flowed into Brighton and into the sea. The stream was eventually channelled underground. Sometimes during torrential rain, water bubbles up through the road outside the Black Lion pub. 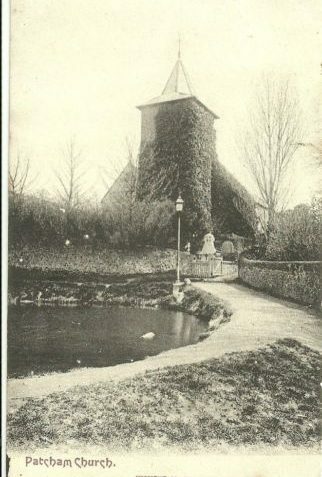 The Dew Pond had been filled in well before the war. There was however an emergency water tank placed there. It was removed when the war ended. 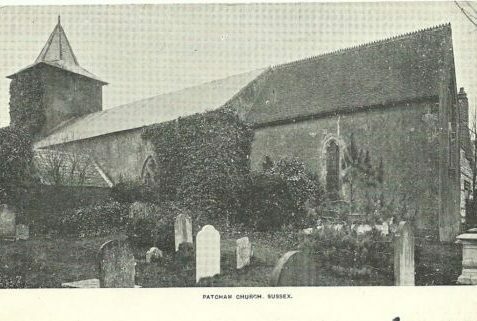 I lived in Patcham from 1934 until about 1950 and went to Patcham Infants and Junior school and sang in Patcham Church Choir. 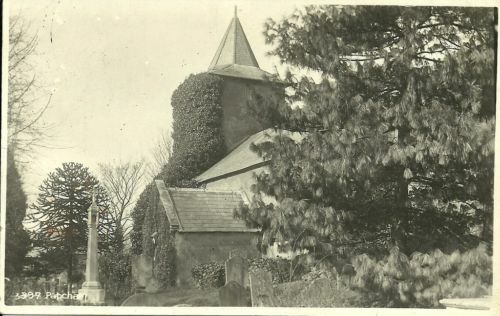 I sang in the choir at All Saints during and after the war. The pond didn’t exist at that time but where it had stood was placed a static water tank or an EWS (emergency water supply) this was removed when the war ended. I was born in April 1938 and Christened at All Saints by the Rev Stott. 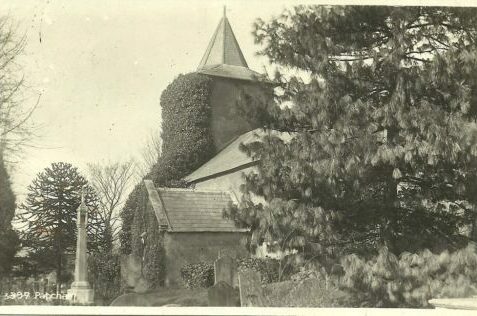 Both my parents are buried just in front of a large tree between the wall roughly opposite the dovecote and infant of the Church tower which was evidently rendered with plaster in Victorian times, ruining the Church’s appearance in my opinion. However, inside the Church there are the remains of some “doom” paintings which are most interesting.